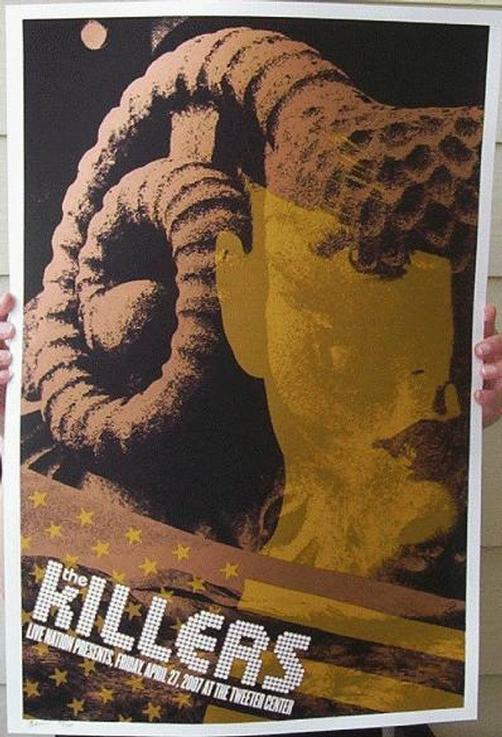 Original silkscreen concert poster for Killers in Philadelphia. 17 x 25 inches on card stock. Signed and numbered edition of only 200 by artist Todd Slater.